"I discovered this tasty St. Patrick's day treat when I attended an Irish Rovers Concert. My family and friend insist that it is a staple at get togethers any time of the year. 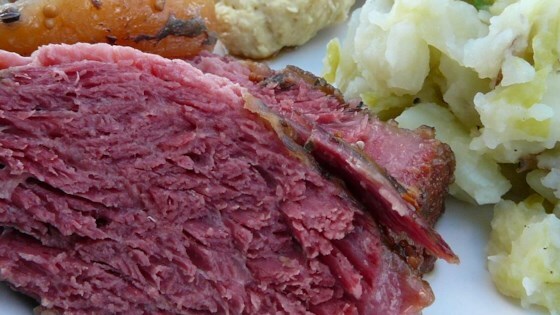 Roast this Corned Beef slowly at a low setting for a melt in your mouth delight. The aroma is fantastic!"